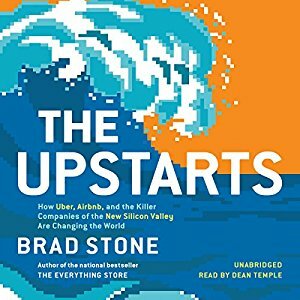 At the time of writing, The Upstarts audio book is number 9 on Amazon’s bestseller list for Technology and Business books. Hachette let me know that they sold 1,000 copies of the audiobook in the first week. They also let me know that’s an extremely impressive number. It’s early days still, but with 87 ratings on Audible, I have a 4.7/5 star performance rating. So far, my experience with narrating audiobooks is pretty awesome.